Meet 3 Moms Who Make it Work! Being a mother is a lifelong adventure with rewards that can’t be measured. 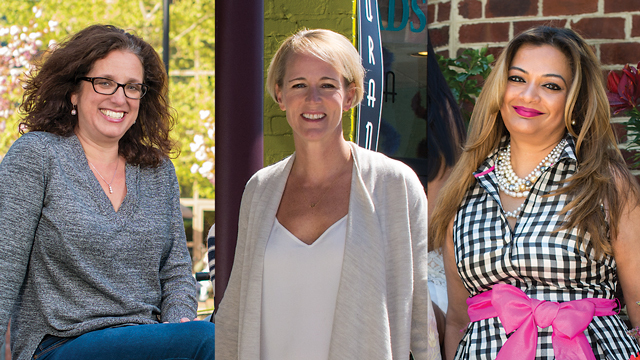 This month, as we celebrate Mother’s Day, we asked three Richmond women to share their thoughts on the wonderful, dutiful, and sometimes stressful juggling act that is motherhood. Family time is always a welcome event in their busy household. Ed teaches English at Maggie L. Walker Governor’s School and Lisa is the director of Virginia Commonwealth University’s new Institute for Contemporary Art (ICA). “We both have full-time jobs with a lot of responsibility,” Lisa says. The kids have their after-school activities. Michaela is involved in horseback riding and Tess is into gymnastics. Both attend Hebrew school. “It’s intense to juggle schedules and family,” Lisa says. Before moving to Richmond, Lisa served as senior curator and chair of the contemporary art department at the Indianapolis Museum of Art (IMA). She spearheaded the IMA’s opening of 100 Acres: The Virginia B. Fairbanks Art & Nature Park in 2010. Now Lisa is building not only a new world-class art institute, but also a university art museum. Construction is currently underway on the first floor of the project, with a 2017 completion date. She tries to get home for dinner between six and seven. If one of the girls has an event, she guards that time on her calendar. “I protect those things,” she says. 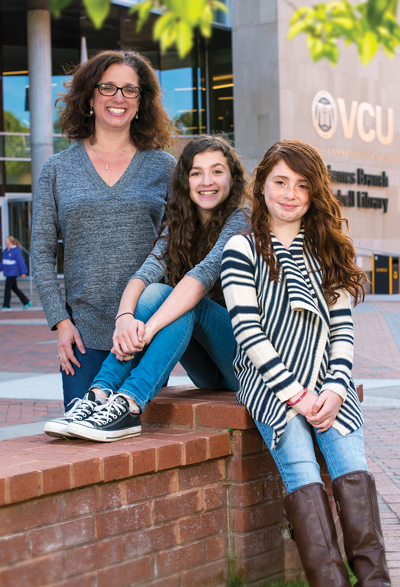 Even with a hectic schedule, Lisa tries to stay open and accessible to her daughters. “They come to my office and meet the people I am working with. It’s great for them to understand what it takes to do what I am doing,” she says, noting that her office is currently in a storefront on Broad Street, about two blocks from the ICA construction site. She acknowledges that balancing work and life isn’t an easy task, and is extremely grateful for her husband’s support. For example, she was invited to be part of a delegation to China for work for two weeks and told her husband about the opportunity. “He said, ‘Of course you have to go,’” she recalls. Being a mother means the world to successful entrepreneur Katherine Wintsch. “It’s always changing, always challenging and always rewarding, but it’s not always easy,” says the mother of 8-year-old Layla and 6-year-old Alex. After she had Alex, Katherine, whose background is in marketing and advertising, started to look at the way companies were talking to and marketing to mothers. What she saw intrigued her. She found that companies were idealizing and glamorizing motherhood through their products and advertising. “That was not my experience,” she says. Katherine believed that companies needed to have a better idea of what it’s really like to be a mother. She launched The Mom Complex to help companies develop better products and services to make the lives of mothers easier. She now works with large companies like Walmart, Unilever, Johnson & Johnson, The Discovery Network, and Playskool. Her research and expertise have been featured in the media in outlets that include The Today Show, The New York Times, The Wall Street Journal, and Fast Company. In addition, she writes about the aspects of modern motherhood in her blog, In All Honesty, and for The Huffington Post and Working Mother Magazine. Her 2013 TEDx Talk encouraged mothers to be honest about how challenging motherhood really is. “I’ve learned that it never gets easier, but the expectation is that people think they are going to figure it out one day, and that just doesn’t happen,” says Katherine. Whenever she has the opportunity, she likes to include her kids in her business accomplishments. They helped her last year when she served as the 2015 Richmond Christmas Mother, and they accompanied her to the Advertising Women of New York’s gala in New York where she was awarded Working Mother of the Year. Katherine also won the Rising Star award from the Richmond Chapter of the National Association of Business Owners at its 2016 Women of Excellence Awards. Lakshmi and her husband, Shekar, had an arranged marriage in India. 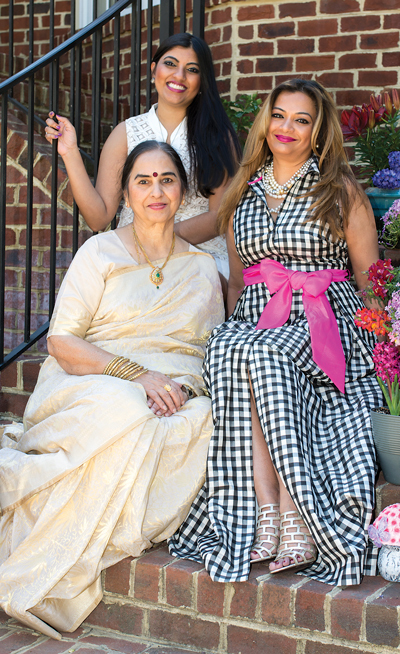 “My parents wanted me to be a doctor and when I said no, they got me married,” she says, adding that her mother, Rajeswari Gollakota, who now lives in Chester, always wanted her daughters to work to add a sense of purpose to their lives. Later, technology gave her even more freedom to work from home. “I was able to cook dinner every night,” she says, which meant Shekar didn’t have to perfect his cabbage. Lakshmi founded her own law firm, Challa Law, fifteen years ago, and now has offices in North Carolina and India in addition to Richmond. She specializes in business immigration, representing the State of Virginia and state agencies, universities, IT firms, and biotech companies. In 2016, she traveled to India with SelectUSA, an arm of the Department of Commerce, sharing the stage with consular officials to talk about foreign businesses investing and spending in the U.S. Two years ago, she served on President Obama’s White House Roundtable to Innovation and Immigration. She was also invited to the White House to talk to select administration officials on immigration issues.